Autumn squash powder sheet beneficial to skin moisture provides the freshness and efficiency of ingredients efficiently and adds the closeness and nutrition of skin with the synergy effectt of concentrated essence. 1. 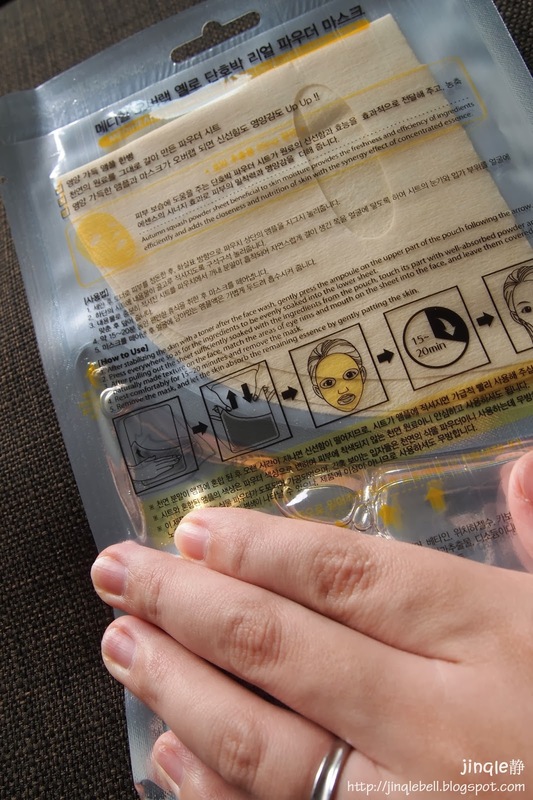 After stabilizing the skin with toner after face wash, gently press the ampoule on the upper part of the pouch following the arrow. 2. Press everywhere so as for the ingredients to be evenly soaked into the lower sheet. 3. After pulling out the sheet sufficiently soaked with the ingredients from the pouch, touch its part with well-absorbed powder and naturally made texture on the face, match the areas of eye rims and mouth on the sheet into the face, and leave them covered. 4. 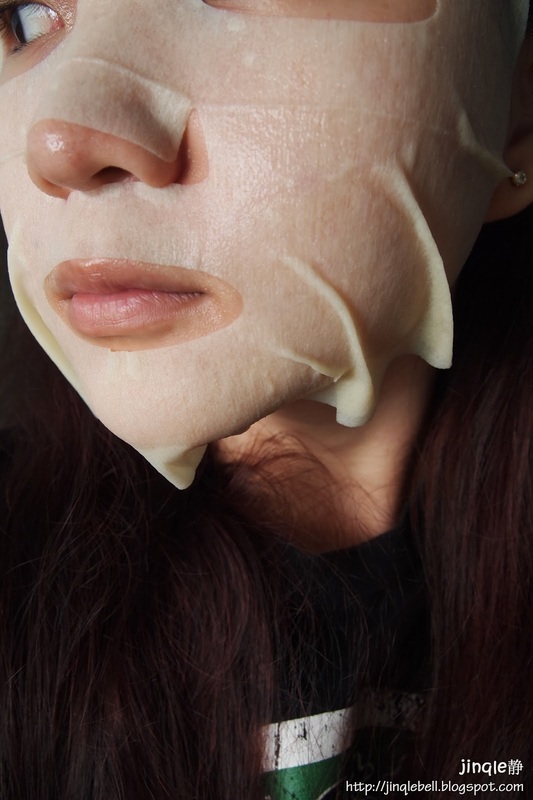 Rest comfortably for 15-20 minutes and remove the mask. This is the third and also the last mask that I'm going to review for this Magnificent giveaways. 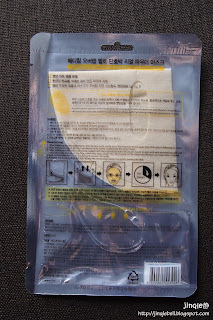 Introducing the Overlab Yellow Pumpkin Real Powder Mask! I was really exciting when I know that the mask is in the giveaways since I've always see people blogging bout it. Autumn squash powder sheet beneficial to skin moisture provides the freshness and efficiency of ingredients efficiently and adds the closeness and nutrition of skin with the synergy effect of concentrated essence. Due to lack of sleep recently, my skin has got into its worst situation. 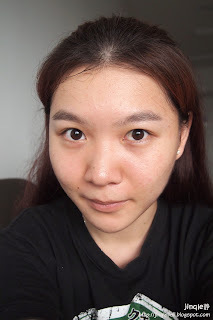 Especially the forehead, I can feel that wrinkles and fine lines are appearing due to dryness. So whats so special about the mask? It is made of powder! Also, the essence is separated from the mask. 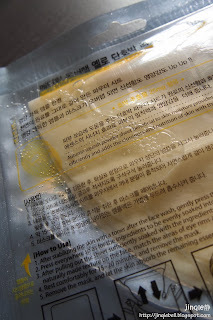 Means that, you will only damp the mask with the essence when you're going to use it. Fun right? This was me trying to force the essence to the top part (mask). It took me awhile. I'm not sure if I did it wrong but for me it is quite difficult haha. This is how the process was. After the mask are totally immersed in the essence, you can peel off the packaging and use it. First impression for me was WOW. IT SMELLS REALLY GOOD. It smells like it is edible. I was enjoying through the full 20minutes while resting. Just too good to be true. 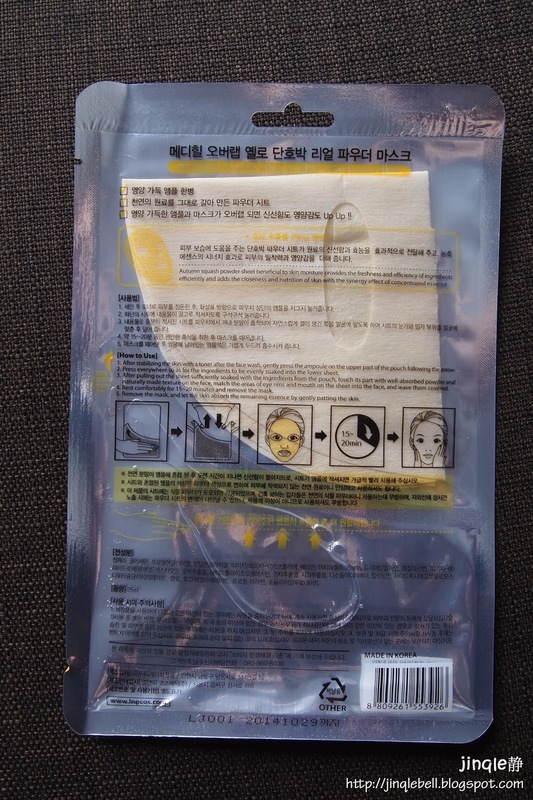 There are quite a lot of residue in the packaging after the mask was removed. Therefore, I apply it further on the mask on my forehead area. Direction to use was the same. Just that you'll need to dampen the mask before opening the packaging. Remember to cleanse the face thoroughly and prep the face with toner before applying it. For me, I think the mask does not fit well to Asian face. I had big wide face but it seems that the mask is bigger than my face. Also, the texture of the mask got nothing special, just like those original thicker and rougher mask. This is the Before. 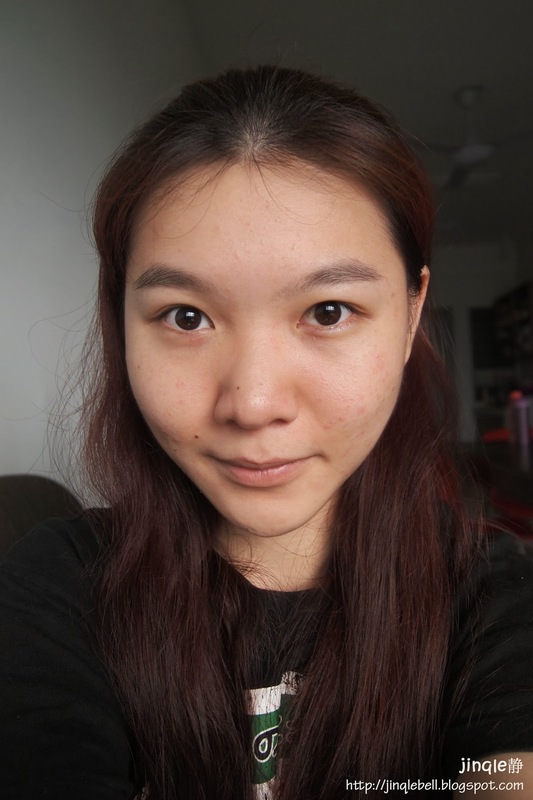 I don't feel comfortable showing my naked face facing front haha. Two photos for After look. 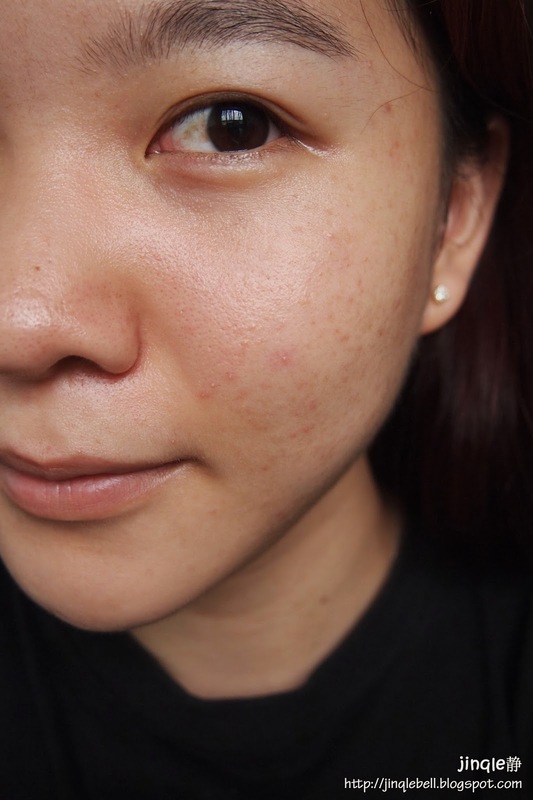 Skin appears brighter but I don't quite like the stickiness on the face. 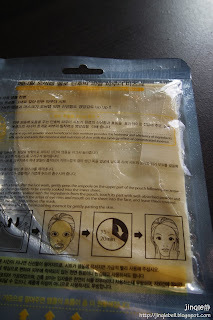 It does not goes off even after I pat my skin(never forget this step after mask). However, there is effect. For those who are interested, you can check it out at Hishop.my. There are also Blueberry, Greentea, Orange Mandarin and Red Pomegranate variation if you don't fancy moisture function also you just hate Pumpkin. Lastly, not to forget the special readers rebate! Have a pretty good day! 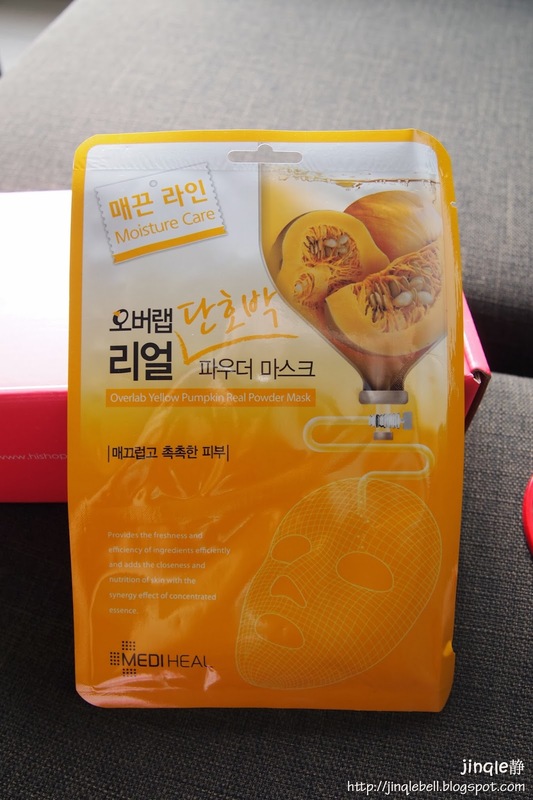 Read my previous 2 masks review from HiShop giveaways!